Adelaide, the capital of South Australia (SA), is a sophisticated, vibrant city with a rich cultural heritage, and plenty of attractions for the history buff, culture tourist and gourmand alike. South Australia was the only convict-free colony, as it was established as a free settlement and populated with voluntary emigration. Significantly, the Act that established South Australia as a colony in 1834 also included a guarantee that the Aboriginal peoples of the state and their descendants would continue to hold the lands that they ‘now actually occupied or enjoyed’. Adelaide is a wonderful spot for gorgeous scenery, with lots of easily accessible natural beauty within the city itself, and an abundance of regional beauty only a stone’s throw out of the city. South Australia was ranked 5th in Lonely Planet’s top regions of the world for 2017, with good reason: this is a state with so much to offer, and Adelaide is an enchanting treasure in its own right. Rundle Mall is Adelaide’s main shopping street, and it’s worth noting that it was also Australia’s first pedestrian-only mall (a large section of the street having been closed to traffic in 1976). You can find a wide range of major Australian and international retailers here, as well as many boutiques, as well as a network of arcades connected to the mall. The street was first established in 1837, and many of the buildings date back to the 19th century. The Mall is also known for its iconic sculptures, including the Spheres, a giant cockroach statue, and a group of quite adorable life-size bronze pigs (Augusta, Horatio, Oliver and Truffles) rooting around a rubbish bin. The lavish décor of the Adelaide Arcade is another attraction, as well as the Fountain at its entrance, both of which were built in the late 1800s. Central Market touts itself as “Adelaide’s food hub”, with good reason: at 80 stalls under one roof, it’s one of Australia’s largest fresh produce markets, with a wide range of products on offer: as well as an excellent range of fruit and vegetable shops to choose from, there’s also delicious patisseries and cafes, gourmet cheeses, sweets, and a popular, delicious charcuterie. There’s also live music every Friday, and various events throughout the year, such as cooking classes, edible-gift making, school holiday workshops for the kids, and even a vegan fest! Since most of the produce is local, shopping at the market is supporting SA growers and artisans, and it’s an environmentally friendly choice as well. This 51-hectare botanic garden was first opened in 1857, with its design having been influenced by the Royal Gardens at Kew, England and Versailles, France. Some of the structures in the garden date back to the 19th Century, such as the Palm house (a Victorian glasshouse). The National Rose Trial garden is a lovely spot: the first garden of its type in Australia, it is used to trial various international breeds of roses to establish their suitability for growing in Australia. A panel of 10 rosarians (yep, that’s a word!) judge the roses over two growing seasons, with the results being announced at the end of the period, and the winning roses being given an award. The bicentennial conservatory is also noteworthy as the largest single span conservatory in the Southern Hemisphere, and the home of at-risk or endangered plants from northern Australia, Indonesia, PNG, and the South Pacific. The Museum of Botany, dedicated to the study of “useful” plants (i. e. with economic value), is also a fascinating visit: opened in 1881, it has been described as “the last purpose-built colonial museum in the world”, and many of the items originally on display can still be viewed there. Of course, beyond the appeal of the history and architecture, there is also a stunning array of beautiful, diverse flora to enjoy, as well as the lovely Botanic Park right next door! Glenelg is a seaside resort in suburban Adelaide, easily accessible from Adelaide city centre or Adelaide airport. A popular destination for locals and tourists alike, the lovely beach and foreshore make it an excellent spot for some rest and relaxation. It’s also popular for its recreational boating, or take a stroll along the jetty for some gorgeous views. Jetty Road, Glenelg’s major retail district, is also well worth a visit, as is the very entertaining Beachouse theme park. Glenelg is very rich in history, being the oldest European settlement on mainland South Australia, being established with the proclamation of the colony of South Australia. You’ll find many lovely heritage buildings if you take a wander around town, such as the Centenary Memorial, Stormont House, Glenara, and Glenelg Town Hall; the latter now houses the fascinating Bay Discovery Centre, a museum dedicated to the history of Glenelg and SA. Glenelg’s most well-known attraction is the Glenelg Tram, the only tram line that still operates in Adelaide. Starting at Moseley Square and passing through Jetty Road, it runs into Adelaide city, a route that dates back to 1873. If you take this route on the weekend or a public holiday, you’ll be able to ride in a historic H-Class tram from 1929. A gift from Adelaide’s sister city, Himeji (Japan), these peaceful, beautiful gardens are designed in two Japanese styles, senzui (lake and mountain garden) and kare senzui (dry garden), with features “designed to recall the beauty of nature”. Some of the attractions include a zen rock garden, koi fish, the lake, the Okunoin lantern, and a shishi-odoshi (an iconic feature in many Japanese gardens). The garden is wonderful for a picnic, a meditation session, or a bit of bird-spotting. This oasis of serenity is just outside of the city centre, and perfect for a wind-down after a few days of sight-seeing. Carrick Hill is a stunning historic property at the foot of the Adelaide Hills. Completed in 1939, it was designed in an English style, and is remarkably well-preserved, including its entire grounds and most of its original contents. The owners of the property, the Haywards, bequeathed it to the state of SA upon the death of the couple, and as they had many artist friends (the wife, Ursula, was also an artist in her own right), there are many excellent artworks on display in the home. It also plays host to art exhibitions on a regular basis. The 40-hectare grounds include 26 hectares of native bushland, as well as formal gardens. Often billing itself as a “city of great buildings”, Adelaide is renowned for its gorgeous heritage architecture and fascinating history. There’s plenty of informative guided tour options available to teach you about the history behind these stunning sites. If you’re traveling on a budget, you can even enjoy one of the many self-guided tours suggested on the Adelaide City Council website, including a guide to the history of Rundle Mall. The most popular heritage buildings, as voted by the people of Adelaide, can be found here; most are in the city centre, so a wander around visiting the various buildings peppered between modern Adelaide would give you an appreciation of both the old and new aspects of the city. A 20-minute drive from the city centre, this conservation park includes the beautiful Mt Lofty, a great spot for a panoramic view of the city, as well as the very popular Cleland Wildlife Park where you can get up close to emus, koalas and other Australian native animals. The Waterfall Gully Reserve, aptly named after the First Falls (a beautiful waterfall within its grounds) is also within the Conservation Park. The Conservation Park is rich in diverse, beautiful flora and fauna, and a great opportunity to experience Australian natural environments a stone’s throw from the city. 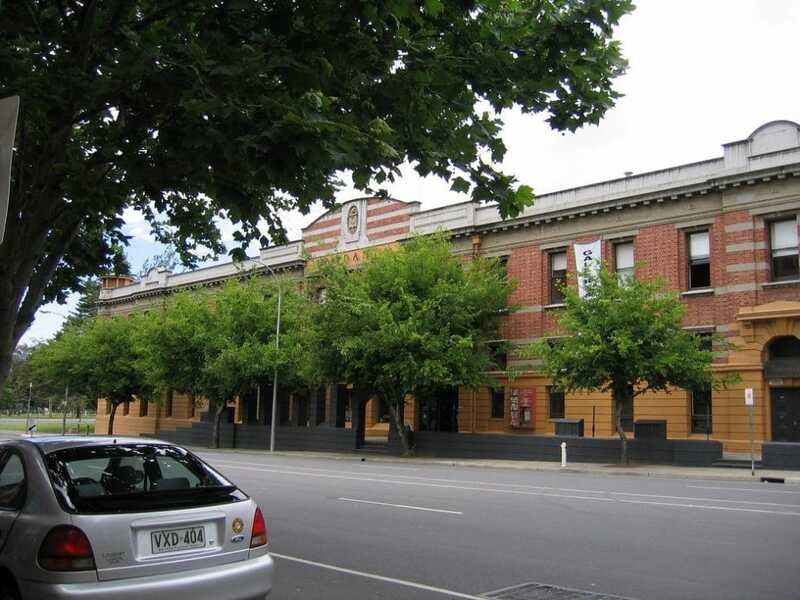 This precinct includes the Art Gallery of SA (AGSA), the SA Museum, the State Library of SA, and the University of Adelaide. It’s best to spend an entire day enjoying this area if possible: there’s plenty to see, do and learn! Full of heritage buildings dating from the 19th Century, as well as stunning modern architecture such as the Spence Wing, so you’ll also find some lovely photo opportunities. The various collections of the State Library are fascinating, especially the “South Australiana” and “Children’s Literature Research” collections. The SA Museum is particularly noteworthy for containing the world’s largest Aboriginal Australian collection, as well as a Megafauna gallery dedicated to the now-extinct giant animals of Australia. There’s also a very interesting (and pretty!) opalized fossil collection. The AGSA is very well known for its high-quality Australian art collection, both old and new; there are also international artworks including sculptures by Rodin, and paintings by Goya. This excellent Aboriginal art museum is Australia’s oldest Aboriginal-owned and managed multi-arts centre, with fascinating art and cultural exhibitions. It’s about 15 minutes’ walk from the North Terrace cultural precinct, and would be a very worthwhile addition to your gallery-hopping itinerary. It also plays host to various artistic events, and a school holiday program. Australian Aboriginal art is prized worldwide, both for its beauty and its intensely symbolic nature; you’ll certainly be able to understand its popularity after enjoying the beautiful works on display here. Several tour options are available for Adelaide’s iconic River Torrens, including a Venetian-style gondola boat tour! You can also kayak, canoe or use a paddle boat if you’re feeling adventurous, but do note that conditions do apply, and that the quality of the water is deemed “no-contact”, so if you capsize you should shower and get changed as soon as possible. If you’re more inclined to enjoy the river in comfort, then a cruise is a great way to relax while experiencing some of Adelaide’s beautiful scenery; on the way, you’ll see sights such as the Elder Park Rotunda (built in 1882), the beautiful footbridge (which is illuminated at night), and the Adelaide Zoo. The best known cruise operator is Popeye, which has been operating tours on the river for over 75 years. This 256-hectare park is an oasis of Australian nature in the northern suburbs of Adelaide, conserving lovely woodland and grassland habitats. 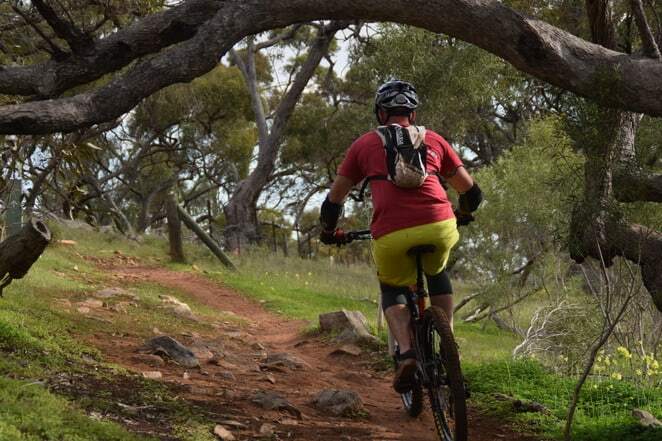 It’s also a popular spot for mountain biking, and includes 17km of shared-use trails for bikers and walkers to enjoy. The park is rich in flora and fauna, and particularly known for its birdlife, including some threatened species. The National Wine Centre is located just outside the Adelaide Botanic Gardens, and is a fascinating educational experience: in fact, it is also an oenology research institute of the University of Adelaide! The centre hosts wine classes, events, wine dinners, an interactive wine discovery journey, and a bar boasting Australia’s largest wine tasting room, with 120 different wines available for sampling so you can discover your dream tipple. You’ll develop a new level of knowledge about winemaking and wine appreciation alike! The Jam Factory is an interactive arts and crafts centre including a wide variety of studios, galleries and shops. This comprehensive facility is a great way to learn about glass-making, pottery, metal design and more, as well as try a few workshops and pick up some gorgeous artisanal objects by local creatives. The Jam Factory cultivates artistic talent in Adelaide and beyond, and is a fascinating place to meet passionate, talented artists. Australia’s largest railway museum will be a sure hit with train buffs! The museum is home to over 100 exhibits, and includes a 457mm gauge railway within the museum complex itself. The educational and interactive displays are fascinating, and the excellent train collection gives you a valuable insight into the history of Australian rail. There’s also a model railway depicting Adelaide and the wider regions surrounding it! While you’re in the area, the Maritime Museum and Aviation Museum are close by, and could be easily combined with a visit to the Railway Museum.